Millions of Americans suffer from chronic headaches and migraines every day. Many people feel hopeless and turn to over-the-counter pain relievers for help. What if you could find long-lasting relief without drugs or surgery? For many, complete headache relief is as simple as wearing a dentist-prescribed device at night. What Causes Tension Headaches and Migraines? 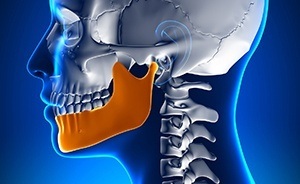 Tension headaches and migraines often stem from hyperactive jaw muscles, which can result from intense jaw clenching and vigorous teeth grinding during sleep. Clenching and grinding are common subconscious reactions to stress, and many people are unaware that the problem even exists. This hyperactivity triggers the nerves that send pain signals to the brain. The goal of the NTI-tss oral appliance is to prevent clenching and grinding, thereby reducing muscle activity and preventing headaches and migraines. Our patients are asked to simply wear the custom-fitted NTI-tss device at night. The device fits comfortably over either the top or bottom teeth and snaps into place. Patients with severe migraines may benefit from a device worn during the daytime as well. In clinical trials, 82% of patients with migraines experienced a significant reduction in their episodes within the first eight weeks of treatment with the NTI-tss. You don’t have to suffer anymore! This simple and effective treatment has helped millions of Americans receive more restful nights and pain-free days. Call our Merrimack dental office today to reserve an appointment for yourself or a member of your family. Patients in the Merrimack, Nashua, Bedford, Hollis, Hudson, and Amherst areas rely on Dr. Shetty for comprehensive care and a lifetime of healthy smiles.